- Best products. Best Prices. Buy Direct! Ecotex EMULSION REMOVER is a killer must have Screen Printing Emulsion Remover. This product is ready to use or it can be diluted 1:4 with water. Ecotex EMULSION REMOVER will economically and safely remove all types of photopolymer, diazo, and capillary film emulsions without etching. Reclaiming emulsion is easy, try our Ecotex EMULSION REMOVER today! *FREE SHIPPING over 40.00 USD In the Continental USA, Other Locations Prices Will Vary. Made In USA | 100% Satisfaction Guaranteed or Your Money Back! 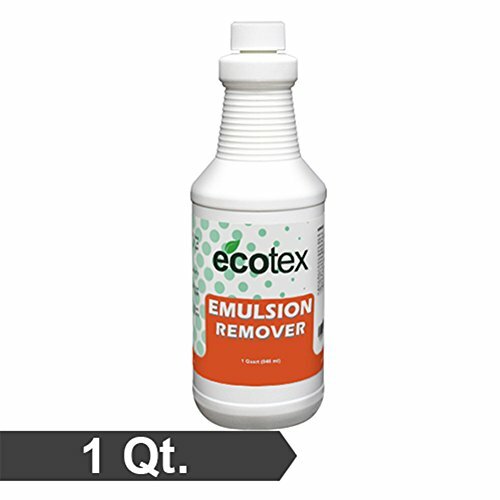 Reclaiming Emulsion is Easy, Try Our Ecotex EMULSION REMOVER Today!